Representing H.E. the President of the Lebanese Republic, General Michel Sleiman, the Prime Minister and the Speaker of the House, the Minister of Tourism, Mr. Fadi Abboud, launched the Eighth Edition of the International Boat and Super Yacht Show, Beirut Boat 2012, at La Marina Joseph Khoury, Dbayeh. Running from May 16 to May 20, 2012, this event is organized by International Fairs & Promotions in partnership with Messe Düsseldorf. Abboud cut the opening ribbon in the presence of several diplomats, high-ranking officials, the representative of the Lebanese Army Chief, businessmen, prominent local and international figures, members of the Board of Administration of the Arab Maritime Industries Association (AMIA), directors of Messe Düsseldorf, in addition to numerous local and international reporters, and media representatives. 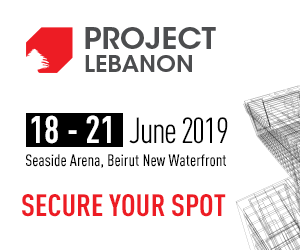 This year’s edition gathers the different sub sectors of the maritime industries from around the world, and contributes in shedding light on the waterfront development projects such as the Waterfront City at La Marina Jospeh Khoury in particular. The event, moreover, highlights the development of the tourism sector in Lebanon, which seeks to endorse its position on the international scene of maritime sports. 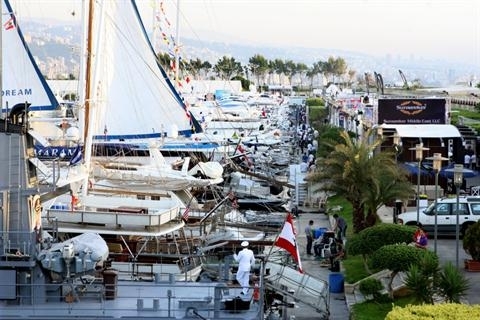 The Eighth Edition of Beirut Boat Show is expected to meet exceptional success, given its role as the region’s leading Boat Show. In fact, last year’s show attracted more than 30,000 visitors and showcased more than 130 exhibitors, and hundreds of internationally renowned names in the maritime industry. This year’s event increased its surface area by 15% to now include world-renowned companies in various industries such as motor and sailing boat construction companies; anchors and maritime fronts developers; providers of maritime equipments; engineering consultancy services, yachts registration companies and agents; yacht designers; technical services and support; maritime systems providers; private yacht operators; and providers of maritime services, equipment, solutions, and designs; in addition to a large range of water sports accessories and equipment such as those used in diving, fishing, water skiing, windsurfing, etc. Mr. Adib expected more than 30,000 visitors, who are passionate about sailing and the sea, to flock to the five-day show.